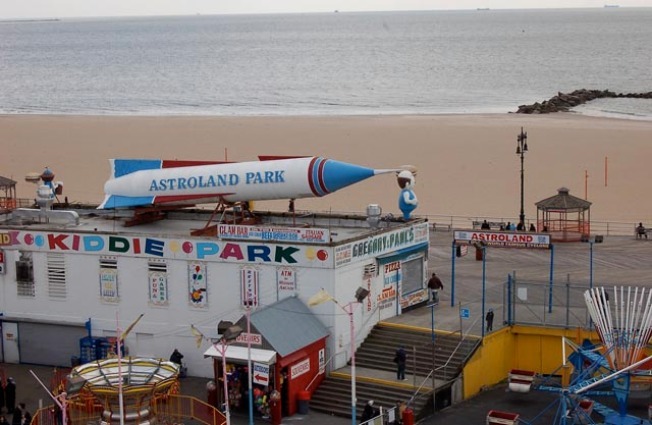 Reports of the Astroland Rocket's possible demise are greatly exaggerated. So says Tricia Vita, administrative director of the Coney Island History Project. In a conversation with NBCNewYork.com Friday, Vita vented about stories of the iconic rocket's possible destruction as it seeks a new home. She concedes that several area museums bowed out because of a lack of space or logistical shortcomings. But Vita insists that several others are still in the conversation. "We can't tell you which (museums) we're talking to because things are still pending," she said. "But it's definitely in danger and needs to be moved." If it's not moved by the end of January, it becomes the property of Thor Equities, which claims it's planning a $1.5 billion entertainment complex for the area, but even that is a cause of suspicion for some. Either way, Vita says her team will donate and help pay for the move of the 71-foot rocket. "It costs between $6,000 and $10,000 just to get the crane," she said. "And then the moving of it ... it will end up being astronomical." Vita wasn't entirely mum; she did say she'd like it to end up in a children's or aviation museum, particularly close to home. And indoors. "We'd like to keep it inside, so it could possibly be part of an educational setting," she said. Want to see some pictures of the rocket? Click here to view the CIHP's Flickr page.